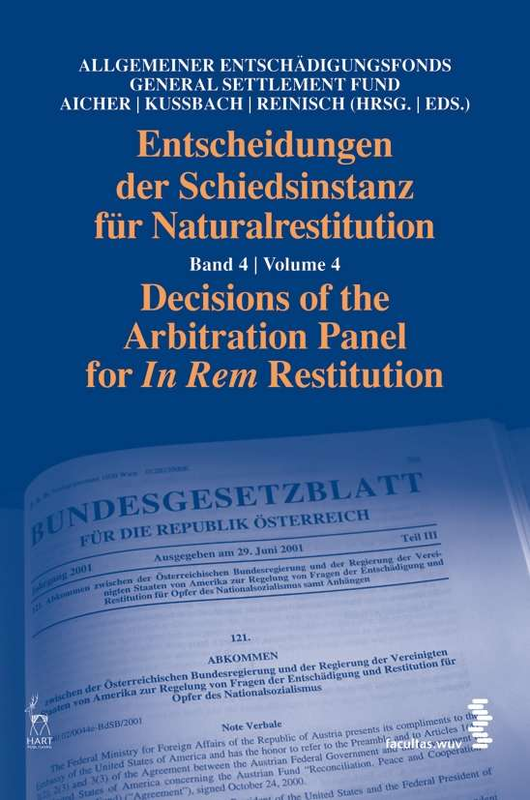 Volume 4 "Decisions of the Arbitration Panel"
Volume 4 contains twelve decisions of the Arbitration Panel passed in 2006/2007, in which the Panel ruled on applications for restitution of properties situated in Vienna, Lower Austria, Styria, Upper Austria, Salzburg and Burgenland. In one decision, after having reopened the proceedings, the Arbitration Panel recommended the restitution of a property in Burgenland, District of Oberwart, owned by the Austrian Federal Forestry (WA/RO 1/2007 re 4/2004). 10th Anniversary of the National Fund. Figures. Data. Facts.